Weblinks to publications are provided by clicking on the associated image. Please also see Google Scholar. Shah, A., Roux, A., Starck, M., Mosely, J. 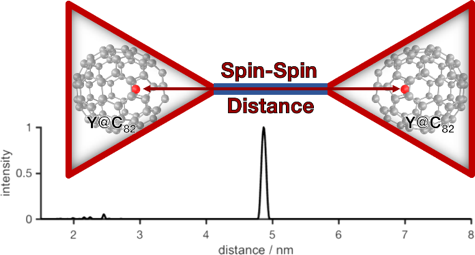 A., Stevens, M., Norman, D. G., Hunter, R. I., El Mkami, H., Smith, G. M., Parker, D. and Lovett, J. E., (2019) A Gadolinium Spin Label with Both a Narrow Central Transition and Short Tether for use in Double Electron Electron Resonance Distance Measurements. Inorg. Chem. 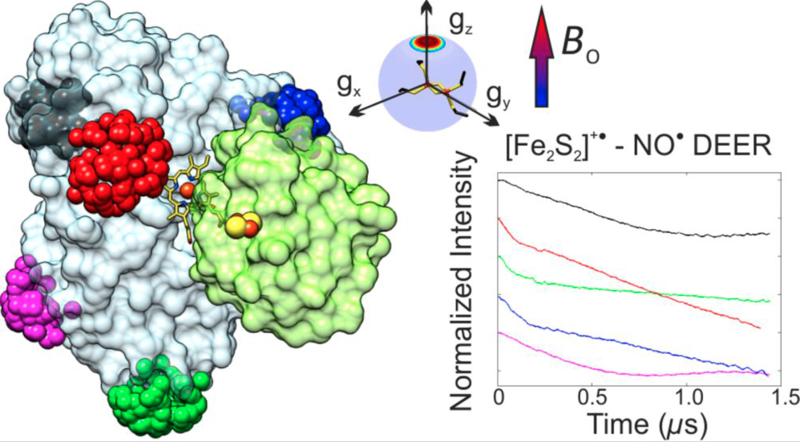 Corey, R. A., Ahdash, Z., Shah, A., Pyle, E., Allen, W. J., Fessl, T., Lovett, J. E., Politis, A. and Collinson, I., (2019) ATP-induced asymmetric pre-protein folding as a driver of protein translocation through the Sec machinery. 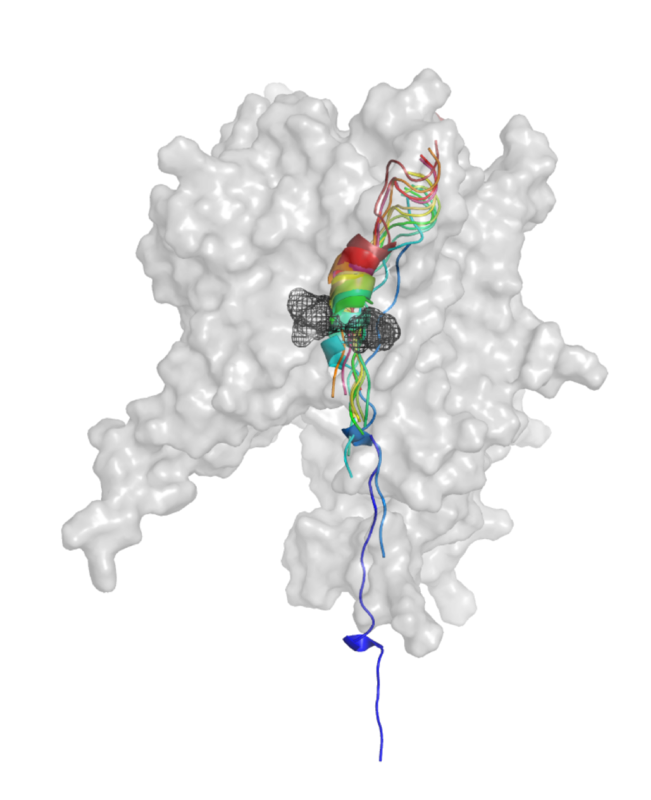 eLife 8 e41803. Gil-Ramirez, G., Shah, A., El Mkami, H., Porfyrakis, K., Briggs, G. A. D., Morton, J. J. L., Anderson, H. L. and Lovett, J. E., (2018) Distance Measurement of a Non-covalently Bound Y@C82 Pair with Double Electron Electron Resonance Spectroscopy. J. Am. Chem. Soc. 140 p. 7420. Bowen, A. M., Johnson, E. O. D., Mercuri, F., Hoskins, N. J., Qiao, R., McCullagh, J. S. O., Lovett, J. E., Bell, S. G., Zhou, W., Timmel, C. R. Wong, L. L. and Harmer, J. R., (2018) A Structural Model of a P450-Ferredoxin Complex from Orientation-Selective Double Electron-Electron Resonance Spectroscopy. J. Am. Chem. Soc. 140 p. 2514. 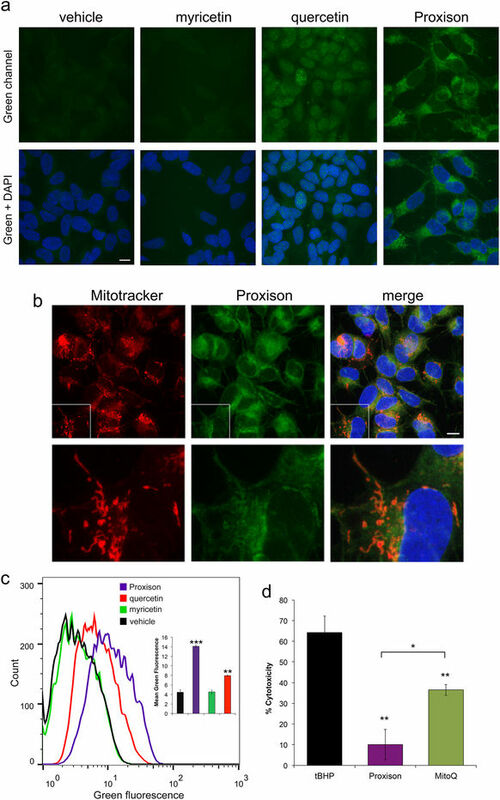 Drummond, N. J., Davies, N. O., Lovett, J. E., Miller, M. R., Cook, G., Becker, T., Becker, C. G., McPhail, D. B., Kunath, T., (2017) A synthetic cell permeable antioxidant protects neurons against acute oxidative stress, Scientific Reports 7, Article number 11857. 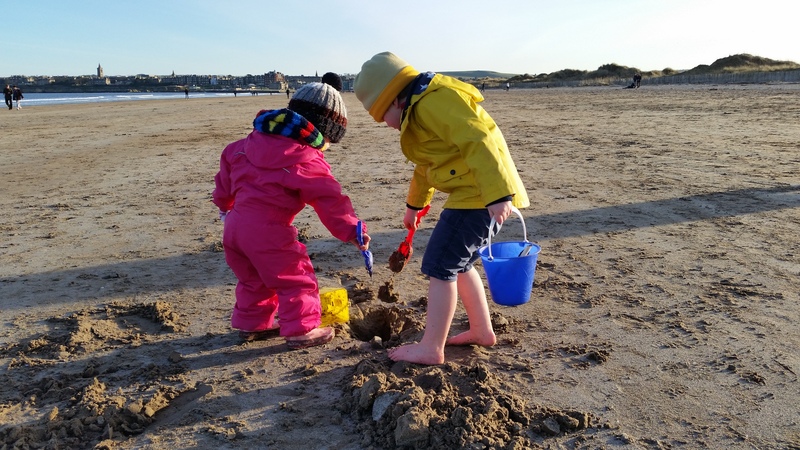 News on the CRM website. Motion, C. L., Cassidy, S. L., Cruickshank, P. A. S., Hunter, R. I., Bolton, D. R., El Mkami, H., Van Doorslaer, S., Lovett, J. E., Smith, G. M., (2017) The use of composite pulses for improving DEER signal at 94 GHz, J. Magn. Reson. 278 p. 122. 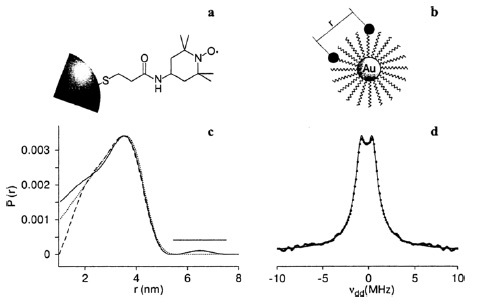 Haugland, M. M, Anderson, E. A., Lovett, J. E., (2016) Tuning the properties of nitroxide spin labels for use in electron paramagnetic resonance spectroscopy through chemical modification of the nitroxide framework. 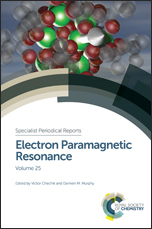 Electron Paramagnetic Resonance - Volume 25 Editors: Victor Chechik and Damien M Murphy Download a copy here. 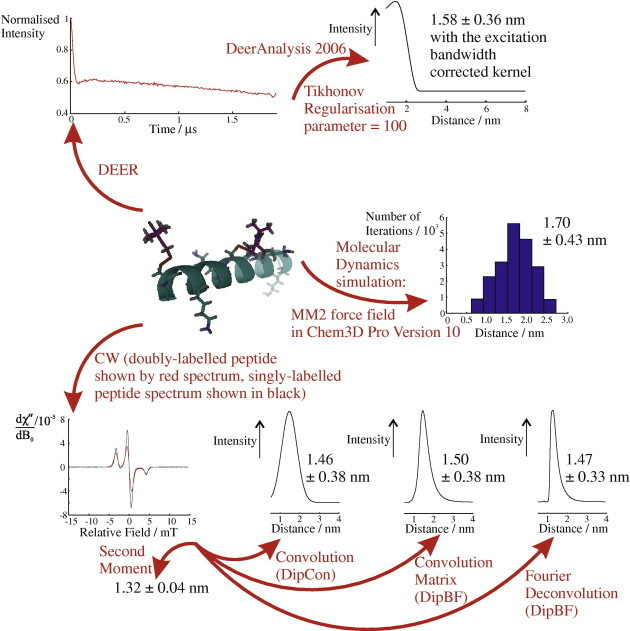 Haugland, M. M., El-Sagheer, A. H., Porter, R. J., Pena, J., Brown, T., Anderson, E. A., Lovett, J. E., (2016) 2’-Alkynylnucleotides: A Sequence- and Spin Label-Flexible Strategy for EPR Spectroscopy in DNA. J. Am. Chem. Soc. 138 p. 9069. Download a copy here. Hajjaj, B., Shah, A., Bell, S., Shirran, S. L., Botting, C. H., Slawin, A. M. Z., Hulme, A. N., Lovett, J. E., (2016) Synthesis of Next-Generation Maleimide Radical Labels. SynLett. 27 p. 2357. Download a copy here. Motion, C. L., Lovett, J. E., Bell, S., Cassidy, S. L., Cruickshank, P. A. S., Bolton, D. R., Hunter, R. I., El Mkami, H., Van Doorslaer, S., Smith, G. M., (2016) DEER Sensitivity between Iron Centers and Nitroxides in Heme-Containing Proteins Improves Dramatically Using Broadband High-Field EPR. J. Phys. Chem. Lett. 7 p. 1411. Bowen, A. M., Jones, M. W., Lovett, J. E., Gaule, T. G., McPherson, M. J., Dilworth, J. R., Timmel, C. R. and Harmer, J. R., (2016) Exploiting orientation-selective DEER: determining molecular structure in systems containing Cu(II) centres. Phys. Chem. Chem. Phys. 18 p. 5981. 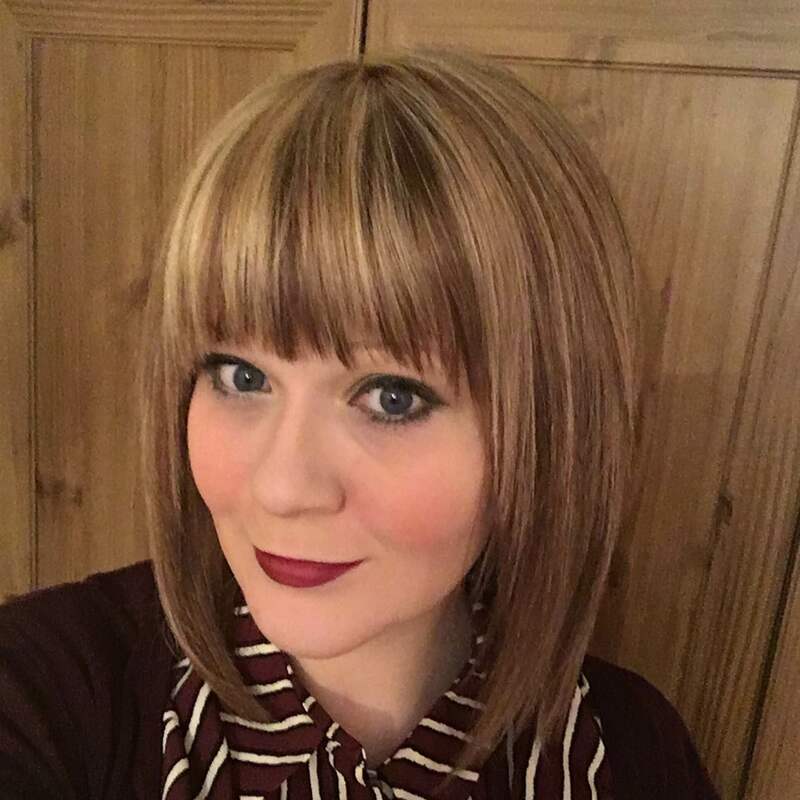 Download Stacey Bell’s PhD thesis. 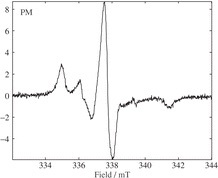 Banham, J. E., Jeschke, G., Timmel, C. R., (2007) Evidence from EPR that nitroxide spin labels attached to human hemoglobin alter their conformation upon freezing. Mol. Phys. 105, 2041-2047.